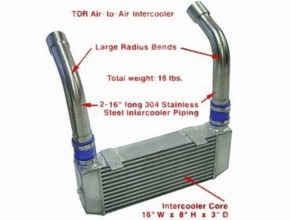 The Track Dog RacingTM Air-to-Air Intercooler is our signature product. We installed and monitored multiple systems before we were satisfied to release our design to the public. The TDR Intercooler was designed to be an improvement over other available systems on the market today, and we believe we have succeeded. The TDR model number TDR-99MP62 and the TDR-97MP62 are specifically designed for the MP62 Supercharger, for which we are an exclusive Dealer and Installer. Leveraging this intercooler design, we developed kits for various other applications such as the JRSC M45 supercharger (90 through 05), the first generation FM II turbo (90-05) and the most recent Rotrex supercharger (99-05) -- sharing the performance gains of the original intercooler for the MP62. 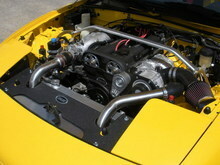 The Track Dog Racing Air-to-Air Intercooler is one of the most efficient Miata intercoolers on the market. The benefits of the TDR system are many, and our complete system is of the highest quality. The piping uses thin-wall 304 stainless steel for a corrosion-free life, and has a beautiful brushed finish. Installation requires about 8-10 hours. Knowledge of shop tools would be helpful. 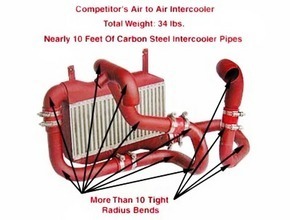 If you are installing an intercooler, it is because you want to safely raise your horsepower output. 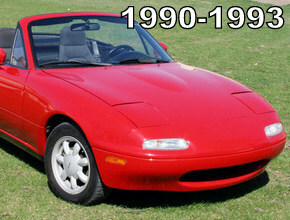 You'll need to remove the factory hood prop and use aftermarket hood lifts. We stock hood lifts that work perfectly for all years of Miata -- and you save 25% on a set when they're added to your intercooler purchase. We advise you to upgrade your radiator at the same time if you have not already; the stock radiator core was not designed for the added horsepower you will be developing. 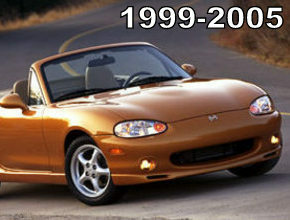 We stock the TDR Aluminum Radiator for both generations of Miatas. 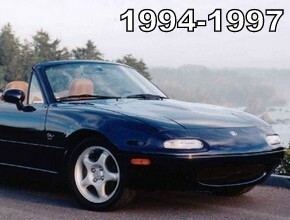 NOTE: Many aftermarket aluminum radiators including the Koyo radiators on the 90-97 models are 3/4" taller than the stock radiator causing clearance issues with the intake pipe. There are no clearance issues with either the stock radiator or the TDR Alluminum radiator.